There is something particularly disturbing about being awakened by your CPAP mask during the night. When you are using something to treat your sleep apnea in order to help you to sleep better, it is especially perturbing when it causes you to wake up. With the use of a full-face mask, especially at higher pressures, you may be bothered by disturbances in the mask seal. In the morning, you may even have skin irritation and break out from the contact from the cushion. Fortunately, mask liners can help to relieve both unwanted leak and skin irritation. Learn about the use of one option, Silent Night, and some of the features that may make it an attractive complement to CPAP therapy. 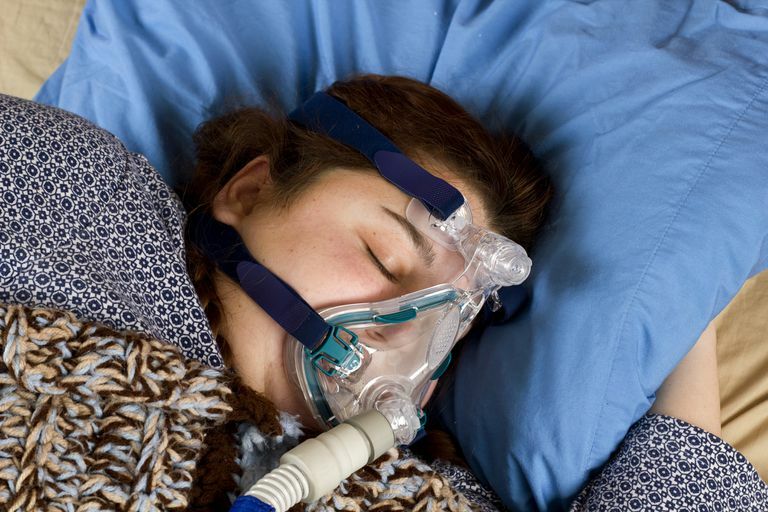 Not everyone needs to use a mask liner with the use of CPAP therapy for sleep apnea. If your mask fits well, without discomfort or irritation of your skin, you probably don’t need to use one. However, if you experience periods of an excessive leak or find that your skin is reacting against the plastic of the mask, you may want to explore your options. It can be helpful to review your leak data or ask your bed partner if the mask is lifting and making “farting” sounds in the night. Another sign of excessive leak could be mouth dryness or running out of water in the humidifier with one night’s use. There are a handful of mask liners available on the market. You might start by speaking with your sleep doctor or equipment provider about what you should consider. You can also explore message boards or even review the options through a search engine. One of the most popular mask liner options is the REM Zzz liner. You may not find this is thick or durable enough to meet your needs. In this case, you might be interested in the Silent Night liners. If there is such a thing as a premium mask liner, the Silent Night mask liners may be it. The fabric of the liner is thicker and this may help create a better seal between the mask and your face. They are designed to fit a wide selection of full-face masks and triangle-shaped nasal masks. These sorts of liners are not useful with nasal pillow masks. One of the unique features of the Silent Night liner is that it has adhesive tabs to affix the liner to the hard plastic molding of your mask. This may reduce shift of the mask liner during the night. It is important that your review both the size and type of your mask so that you can match the liners appropriately. Available from a variety of retailers, for about $25 you only get 4 liners, which may seem a little expensive. It is recommended that they are replaced about once per week. Other mask liners (such as REM Zzz liners) may require nightly replacement, and so they cost about the same when averaged over the length of use. It may be covered by some insurance, so speak with your equipment provider. One of the benefits of a mask liner is that it can reduce redness, marks, and inflammation if you have sensitive skin. The oils of the skin can interact with the plastics of a mask and, for some people, this can result in unsightly rashes or even pimples. Make certain to clean and replace your mask as often as you should to ensure a healthy experience with CPAP therapy. If you have persistent skin problems or mask leak despite using a mask liner, speak with your equipment provider or sleep specialist about other changes that may be helpful. A mask fitting may provide an improved fit. Barrier creams such as RoEzIt cream may help with rashes, especially if a liner doesn’t fit your mask well. A thick gel pad called a Gecko nasal pad can also be used. In some cases, adjustment of the CPAP machine’s pressure may be required.